Why is my HNV gateway not working? I wrote an article on LinkedIn titled “Your gateway is responding! What is network virtualization doing to your network?”. This article is technical follow-up to the precursor. The setup is pretty simple. 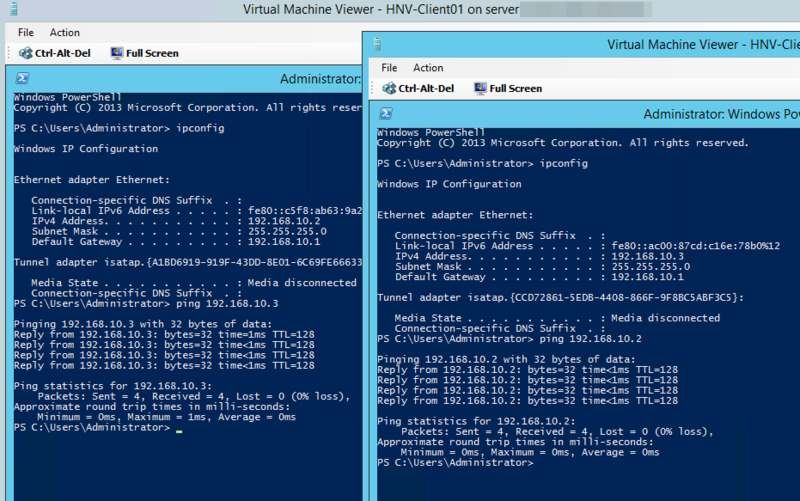 Two tenant VMs connected to same virtualized VM Network. Gateway with two interfaces, located on dedicated host for HNV gateway functions. 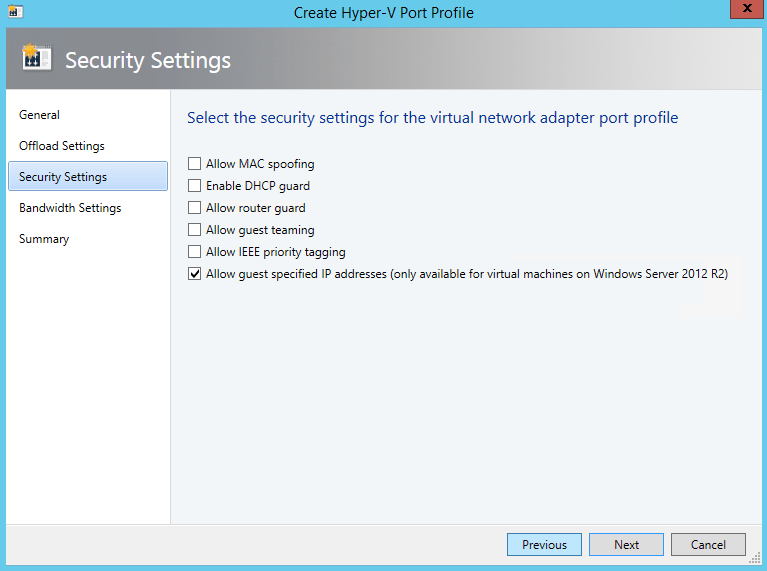 How to setup gateway VM running 2012 R2 is more involved and will be future post. 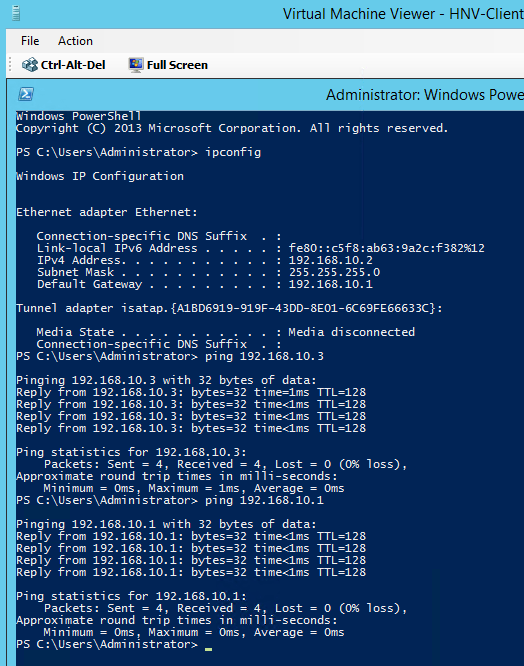 Now that VMs were created and gateway configured in fabric, I started standard network testing procedure. First step, an obvious PING! 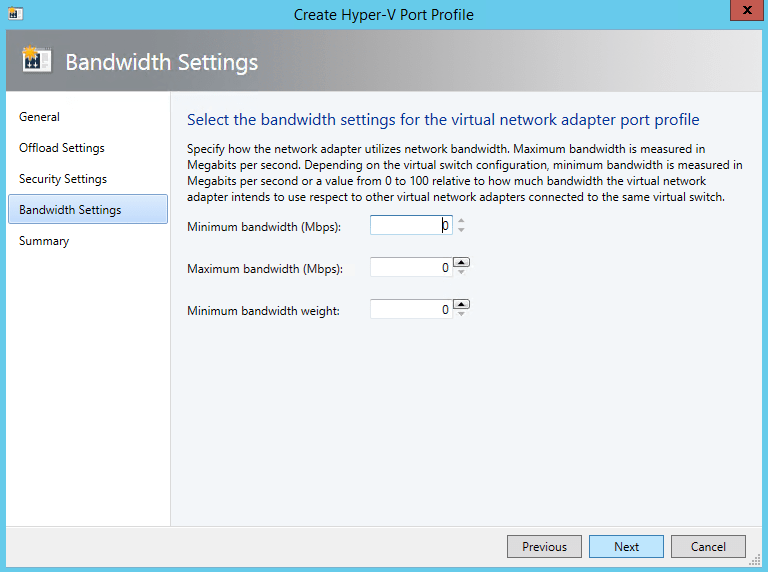 A lesson when troubleshooting HNV… Hyper-V will create a router interface on each host managed by SCVMM where given virtualized VM Network is assigned. 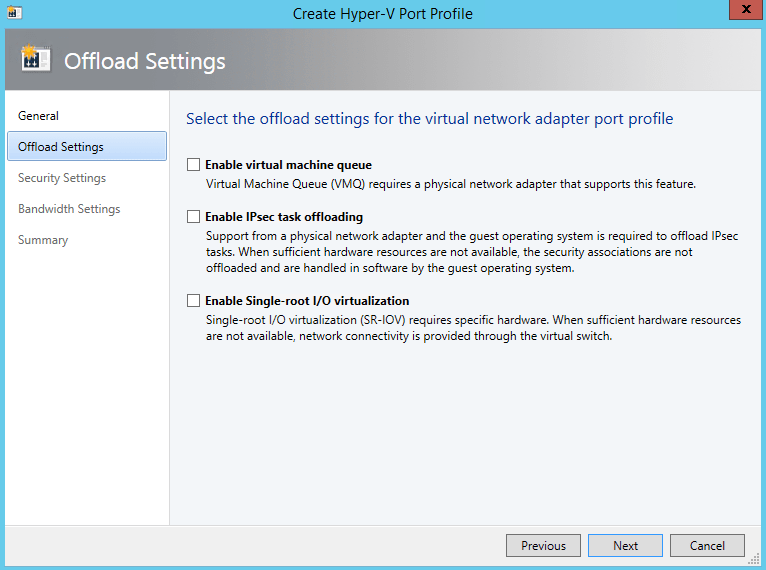 You can see this by running “Get-NetVirtualizationLookupRecord” on Hyper-V Host. What you will see is a customer address which is “Gateway address” for tenant VM, and VMName “GW”. However, you will never actually see the “GW” VM on the host. So the old way of thinking doesn’t work here. 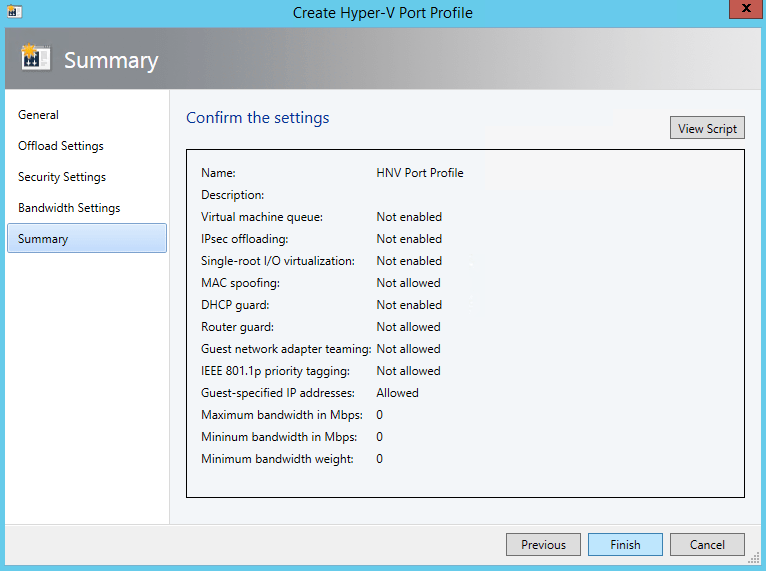 If you get ping response from “gateway” you are only getting response from Hyper-V host where VM is running. The host is responsible for handling NVGRE packets and pass it on to correct host where your actual gateway VM (as registered in fabric) is located. Now I was getting into it real deep. As they say it, solution is quick, getting to find the solution is painful. It’s the process of getting to the root cause that takes most time. It took me days of troubleshooting, deleting and recreating gateway VM and many other things that I tried to no avail including a case I had open with Microsoft (which was non-decremented after I found the solution and relayed back my findings documented here to engineers I was working with). This is not to say Microsoft wasn’t capable, I can certainly say I didn’t have patience to deal with days of delay before I can get someone who understood the magnitude of the issue and troubleshoot the issue quickly and effectively without layers of escalation. Anyway, so what did I do to troubleshoot the problem? 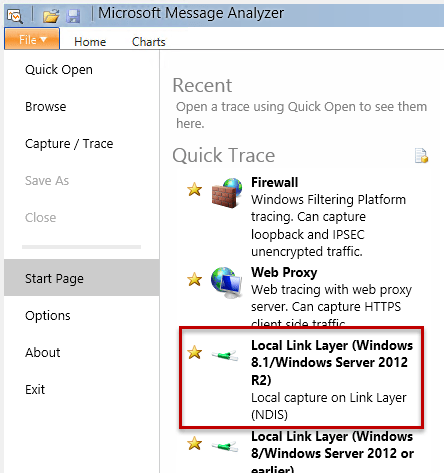 I pulled out newest tool from Microsoft toolset… message analyzer! I did try network monitor but since it does not present NVGRE information the way message analyzer does, I found myself struggling. I needed something that can help someone like me who doesn’t breathe network captures for living. Message Analyzer was the answer to that problem. If you are up for adventure, feel free to use network monitor instead. It is important to note that the IP address for host isn’t actual IP address assigned on the host’s management NIC. HNV sends NVGRE packets over “Provider Address”. 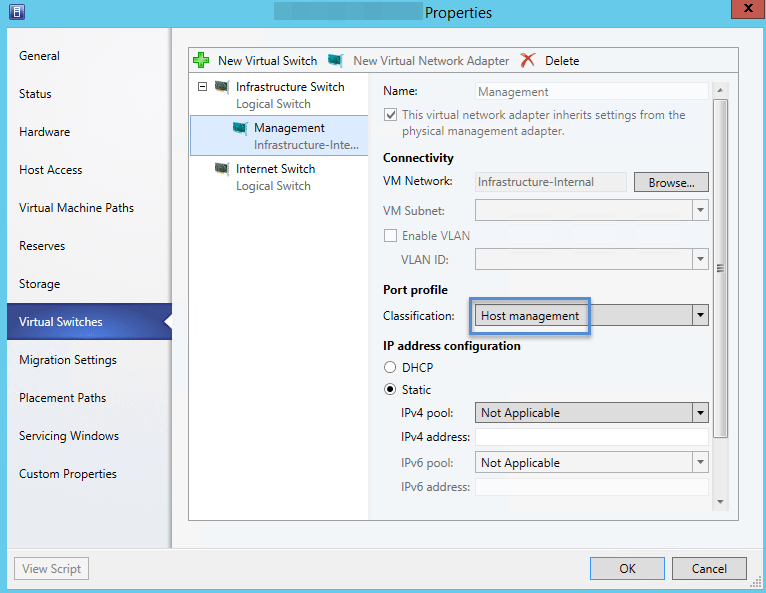 Assuming SCVMM fabric is configured correctly, you can check your host’s provider IP address by running “Get-NetVirtualizationProviderAddress”. The table above reflects provider address of each host. VM addresses are actual. Next, I setup message analyzer on host where the tenant VM was running and the host where gateway VM was running. I also setup message analyzer on both VMs so I have end to end visibility. Most importantly, I needed to make sure I can see NVGRE encapsulated packets and follow it to the point of failure. All I saw was four ICMP requests leaving the interface and not getting any response back. This wasn’t unexpected. Next, I checked it from gateway VM. What I found here was surprising. I didn’t see any ICMP packets making to it! So let’s dig in. The first request of each 3-pack looked quite ordinary. It contained source IP and destination IP, source and destination MAC addresses and other protocol details. 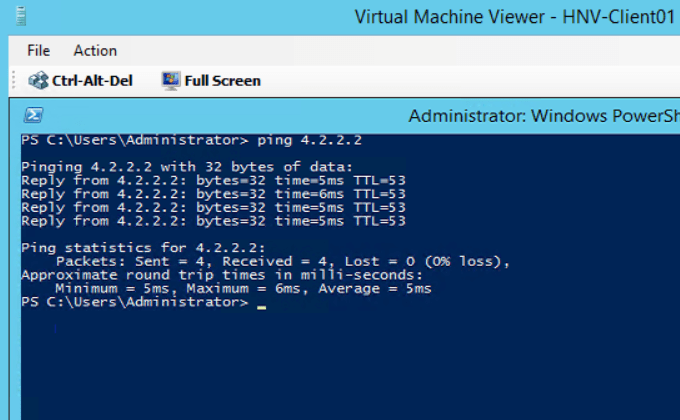 What was interesting to note is the destination MAC address wasn’t of a NIC on gateway VM, but instead it was the MAC address we noticed earlier when we ran “Get-NetVirtualizationLookupRecord” on Hyper-V host where client VM was running! Here we see that the host where gateway VM is running did receive ICMP request and contains required information in GRE encapsulated packet. So everything from HNV perspective seems to be working so far. The question though is, if the packet made it to host, why did host not pass the packed on to the gateway VM? 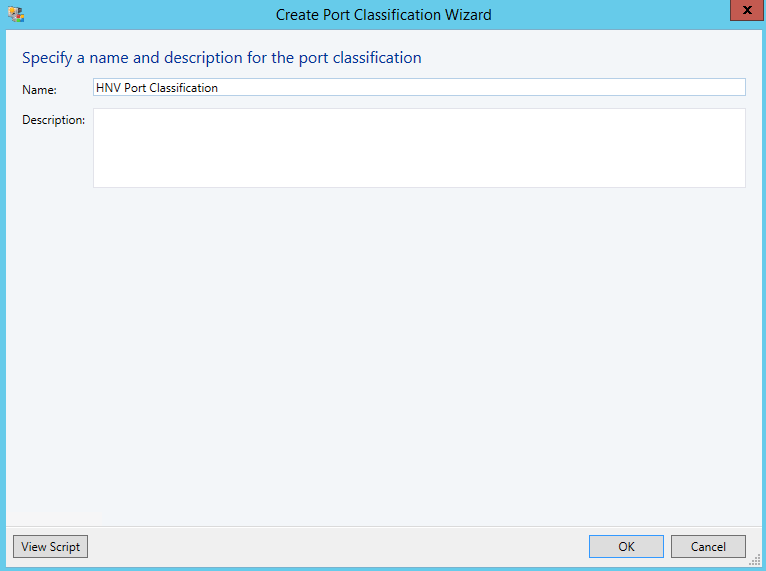 I had assigned port classification that was “out of the box” classification. 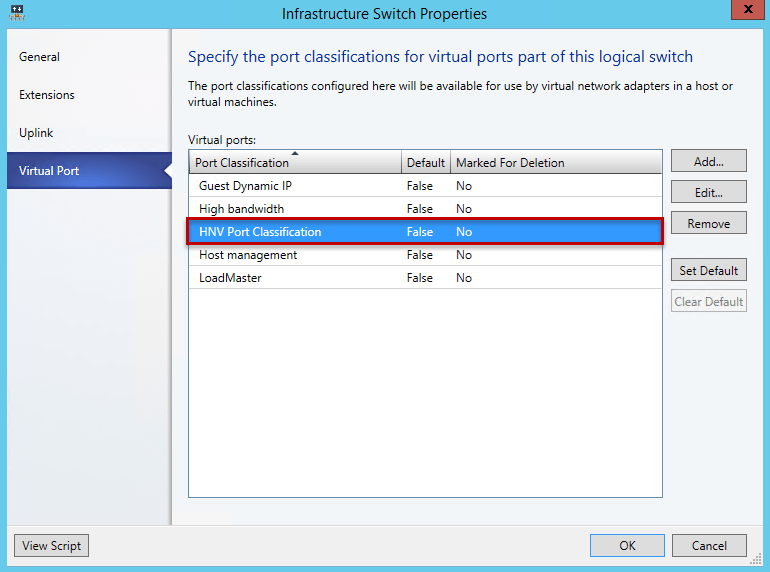 I vaguely remembered reading somewhere to create port profile for gateway but did not create it due to lack of understanding. 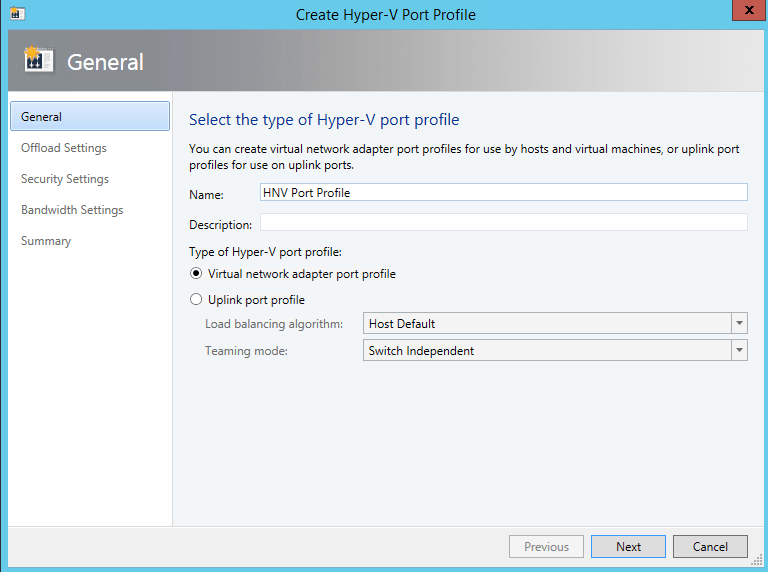 It was obvious that I needed to create a port profile and assign it to the host where gateway VM is running. I think most important to note during this process was “Allow guest specified IP addresses…” which was not enabled in built-in “Host Management” port profile. 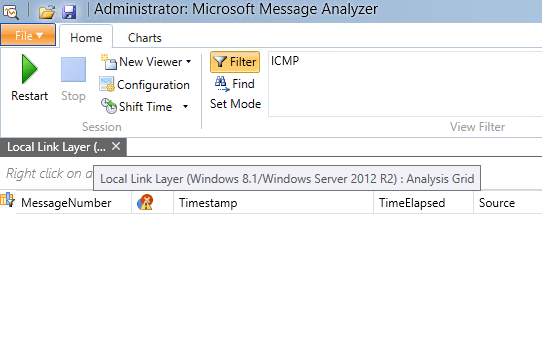 You don’t see individual request response in message analyzer as it combines them under one “operation”. if you were to expand it, you will see request and response. You know you are a geek when you care the least about the hour of the day when you are solving puzzles. Onto next puzzle. Cheerios! Excellent post, you helped me fix my issue similar to yours. 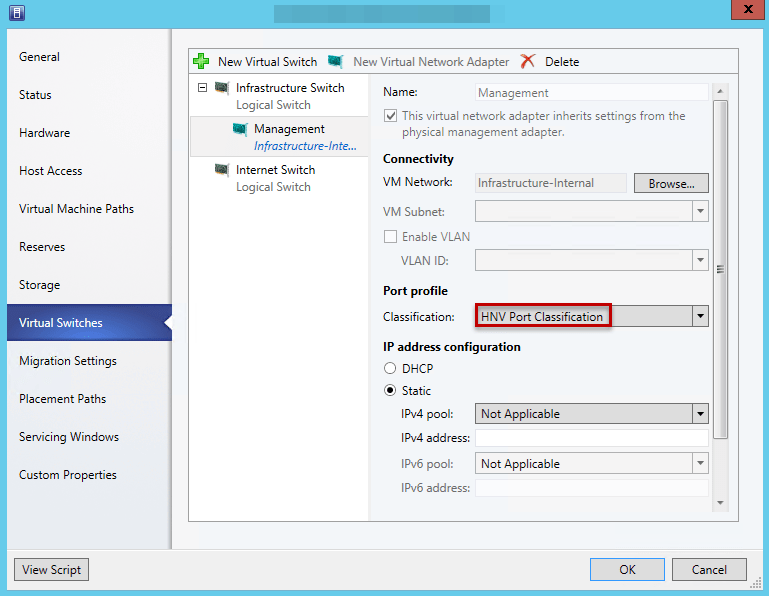 Hi, About this hyper-v network virtualization (hnv), if i utilize hnv to create tenant prod,dev,testing do I need/must have hnv gateway for internal/campus user accessing a web server vm in hyper-v environment ? Yes, without HNV gateway, clients on physical internal network can’t communicate with VMs located on virtual network, unless something (physical switches or virtual appliances) translate HNV encapsulated packets in the way the physical network can understand and respond to. This also applies to VMware NSX and any other network overlay technologies that may be out there as they use similar overlay concepts.